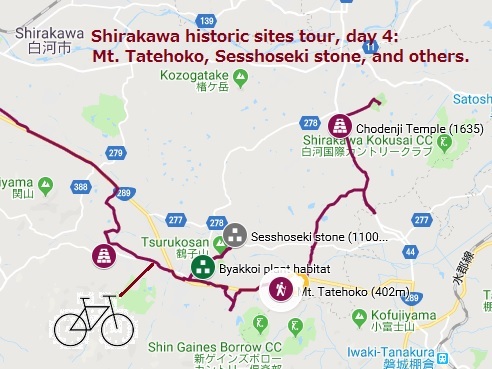 Today was the last day of Shirakawa historic sites tour series. 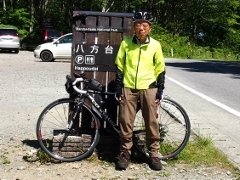 Leaving Kitsuneuchi hot spring inn, I pedaled the bike toward southwest. Mt. 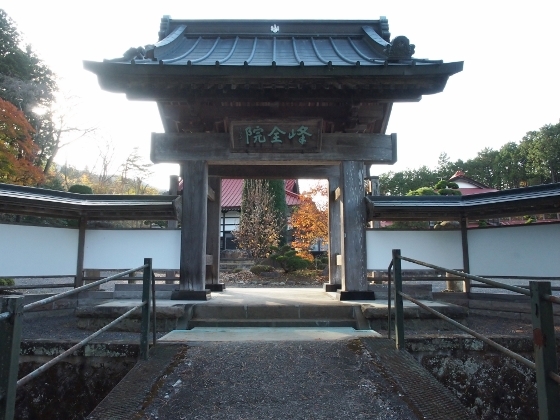 Tatehoko (402m), located along the old Tanagura Highway, had been a place of worship since 400’s. 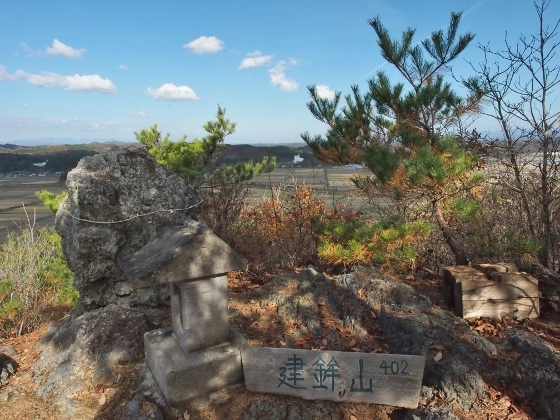 Photo above was a view on top of the mountain with a large sacred stone and a small shrine beside it. 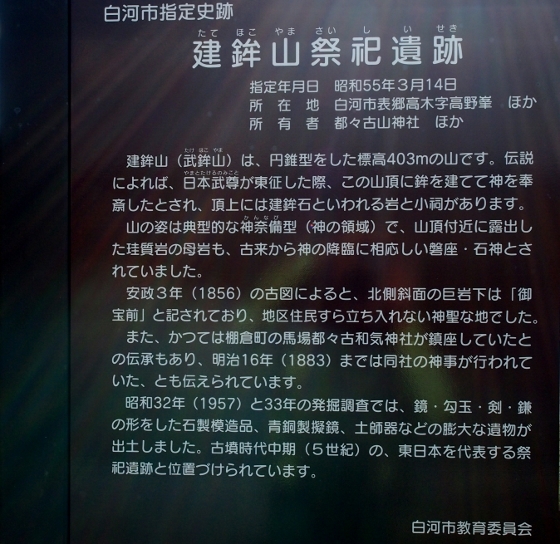 It took less than 30 minutes to get to the summit by foot from Mimori trailhead. 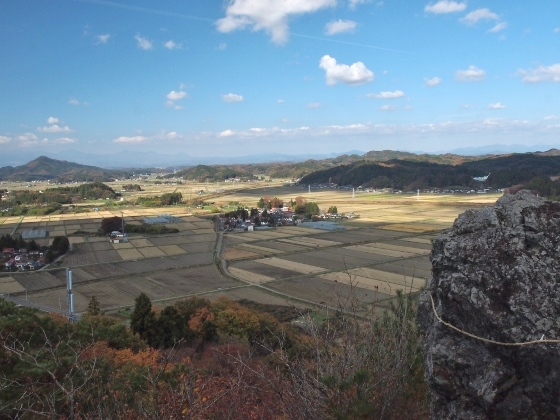 A panoramic view from the top expanded among the eastern plain of Shirakawa as shown above. 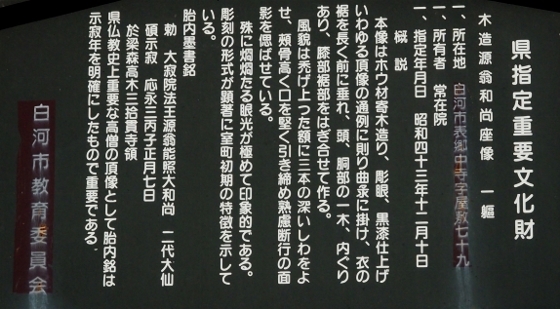 The shape of Mt. Tatehoko looked as shown on the left hand side of the picture above. It was a typical cone shape which was best for the descent of god. 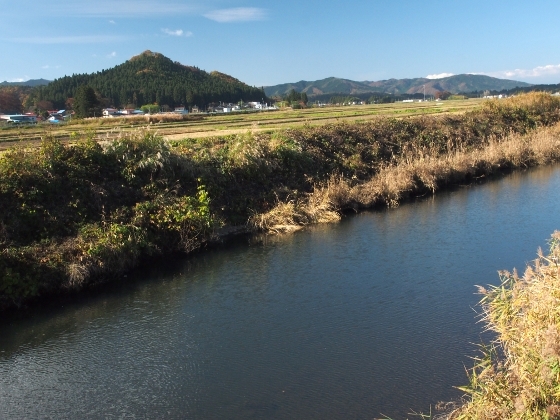 The river in front was the Abukuma River. 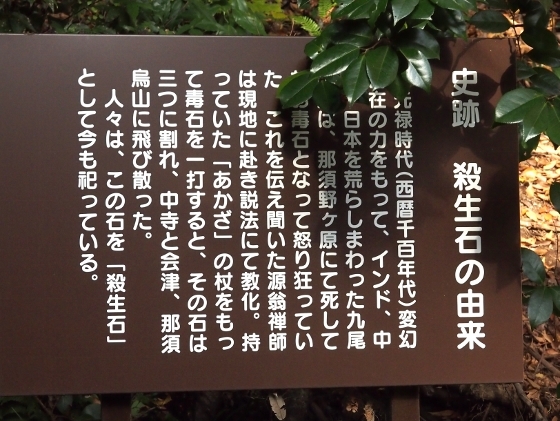 Very close to this mountain there was a large zelkova tree which was 600 years old as shown above. 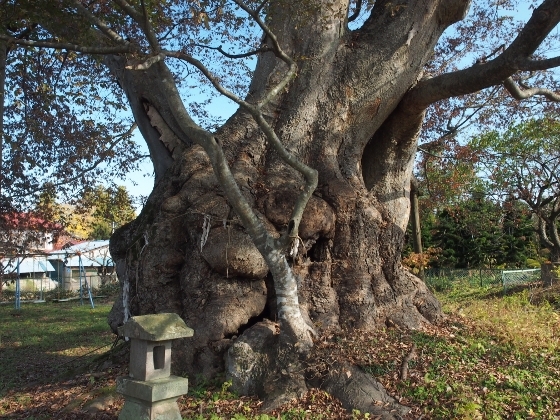 This sacred tree was called “Tsukiyomizakura” and was designated as natural monument of Shirakawa City. 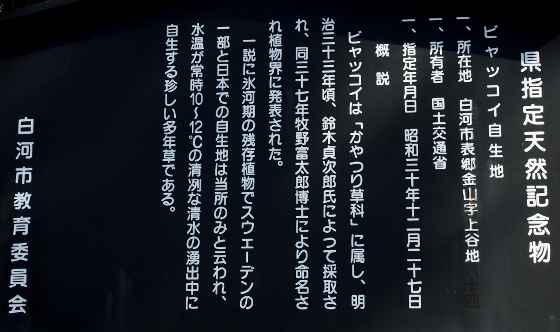 And then I came to a branch, as shown above, for a special road dedicated for a bus service between Tanagura and Shirakawa. The bus travels on this exclusive road and no other traffic is allowed including cars, bikes, and even pedestrians. 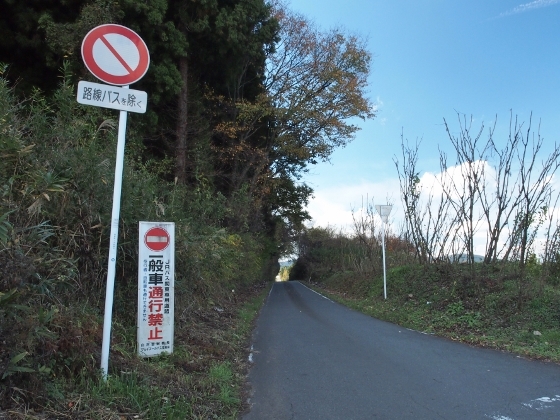 This road was originally a railroad track called Hakuho Line (1916-1944) between tanagura and Shirakawa, but later it was changed to JR bus line. 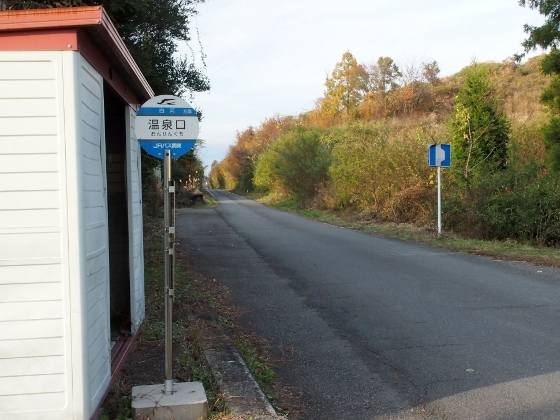 Photo above shows one of the bus stops along the route. 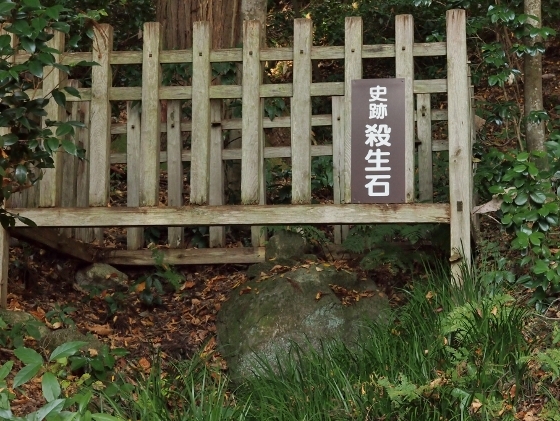 The next stop was a very rare natural habitat for a plant called Byakkoi, as shown above, located at Kaneyama village of Omotego district. 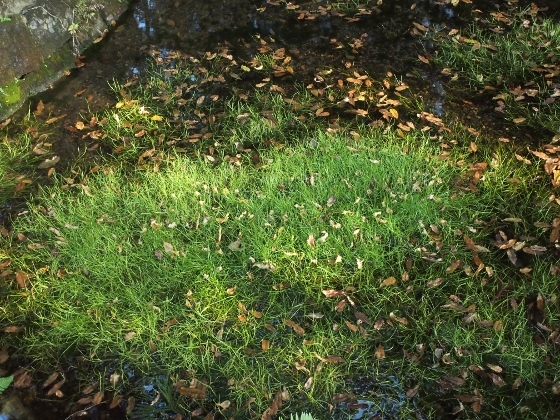 This was the only known natural habitat for this plant on this planet except for Sweden. 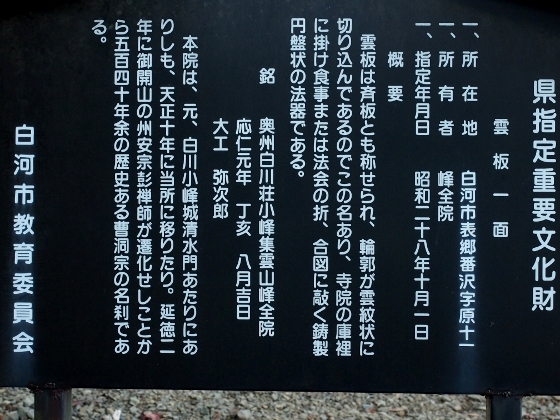 Then I pedaled further north and stopped at Jozaiin Temple, as shown above, which was famous for one of three Sesshoseki stones or killer stones. 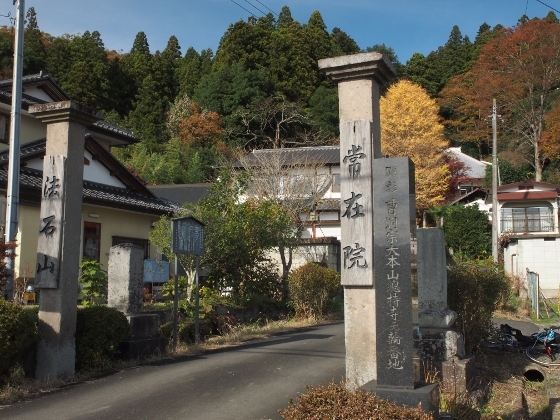 Zen priest Genno founded this temple in 1376. 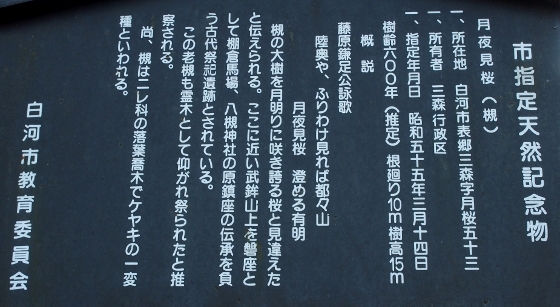 Sesshoseki killer stone originally located at Nasu, Tochigi Prefecture, was poisonous at first, but Genno turned it to a good one and the stone was split into three pieces, one at here in Jozaiin backyard, as shown above, the other in Aizu. Some other sites I stopped today are shown below. 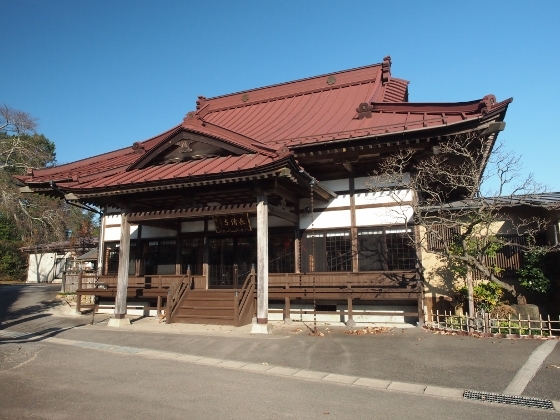 Photo above shows Hozen-in Temple established in 1400’s and this temple holds an old round casting copper plate called “Unban” made in 1467. 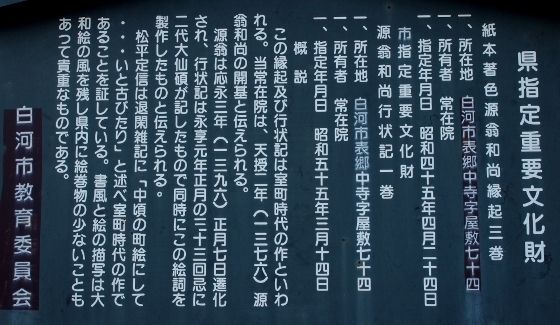 It was designated as a prefectural important cultural asset.